You can actually type that in the Command Window to invoke the Create Unit Test Wizard. If you find it too verbose, you can actually create an alias for it. Then just type ut to launch the wizard. 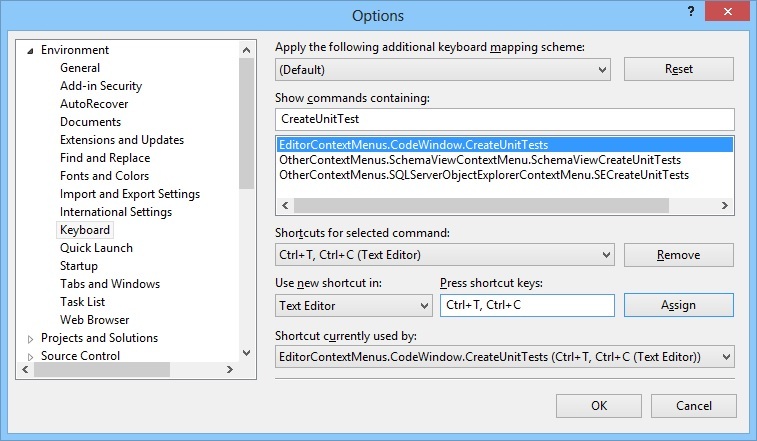 The next method is to go to Tools->Options->Environment->Keyboard and set a shortcut key of your preference. 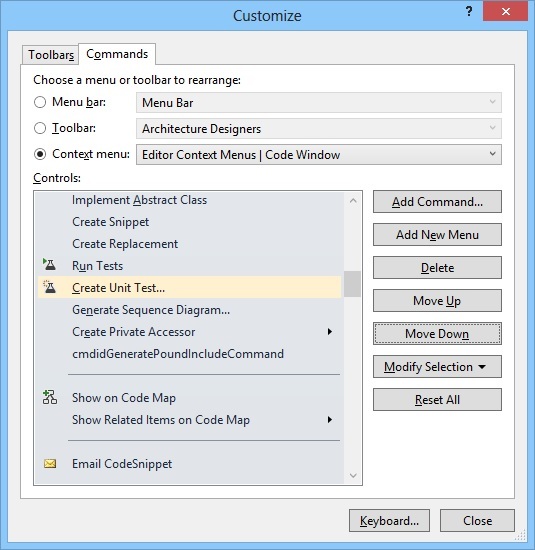 Method 3 – Re-enable the Create Unit Tests… Context Menu. This is by far the best method ever. To re-enable the Create Unit Tests… menu, go to Tools->Customize… to launch the Customize dialog. At the Customize dialog, go to the Commands tab, select the Context menu radio button and choose Editor Context Menus | Code Window. Thanks to our MVP Serena Yeoh for sharing such a great information with us, you can click here to see the full details.